We currently have a number of Community Employment positions available with HIV Ireland. Please contact your local DSP Employment Services/Intreo Office to check your eligibility and to apply for this vacancy. Job Reference Number will be required. Eligibility to participate on CE is generally linked to those who are 21 years or over for the Childcare, Health and Social Care sectors and 25 years of age or over for all other areas. Applicants must also be in receipt of an Irish social welfare payment for 1 year or more. Other queries can be emailed to cesupervisor@hivireland.ie. 1. Health Information Worker – Vacancy ID: CES 2007875. Cairde’s Health Information and Advocacy Centre aims to provide relevant, accurate and culturally appropriate health information, support and advocacy to minority ethnic community members and groups to enable them to access and use health services. The key task of the Community Health Worker is to support the work of the Health Information and Advocacy Centre through community development. Workplace location: Cairde, 19 Belverere Place, Dublin 1. Closing Date: 21 April 2017. Duties will include the provision of support in areas of general maintenance and cleaning, to include cleaning of offices, meeting rooms and toilets, dusting, hoovering, emptying bins, mopping, some painting, some gardening and any other relevant duties as directed by the Manager. Workplace location: 70 Eccles Street, Dublin 7. Closing Date: 21 April 2017. 3. Coffee Shop Assistant. Vacancy ID: CES 2028995. Outhouse provides support services for the lesbian, gay, bisexual and transgender community and their friends and supporters. Duties will include the daily set-up of the Coffee Bar, serving customers to the highest standards of cleanliness and friendliness, ordering supplies, maintaining all accounts in a reliable and consistent manner, carrying out weekly stocktaking and providing basic information to visitors. Workplace location: Outhouse, 105 Capel Street, Dublin 1. Closing Date: 21 April 2017. 4. Receptionist/Administrative Assistant. Vacancy ID: CES 2030186. HIV Ireland provides support services for people living with HIV, their friends, relatives and supporters. Duties will include general administrative tasks, as well as answering and dealing with all incoming telephone calls, including transferring calls to relevant members of staff. Workplace location: 70 Eccles Street, Dublin 7. Closing Date: 24 May 2017. The annual 5km Dublin Pride Run, organised by the Dublin Front Runners, takes place on Friday 16th June 2017, in the Phoenix Park at 7:30pm. This year’s event is raising funds for three charities: Outhouse LGBT Community Centre, ShoutOut and HIV Ireland. Registration is now open and you can register as an individual or as a group. Click here to register. 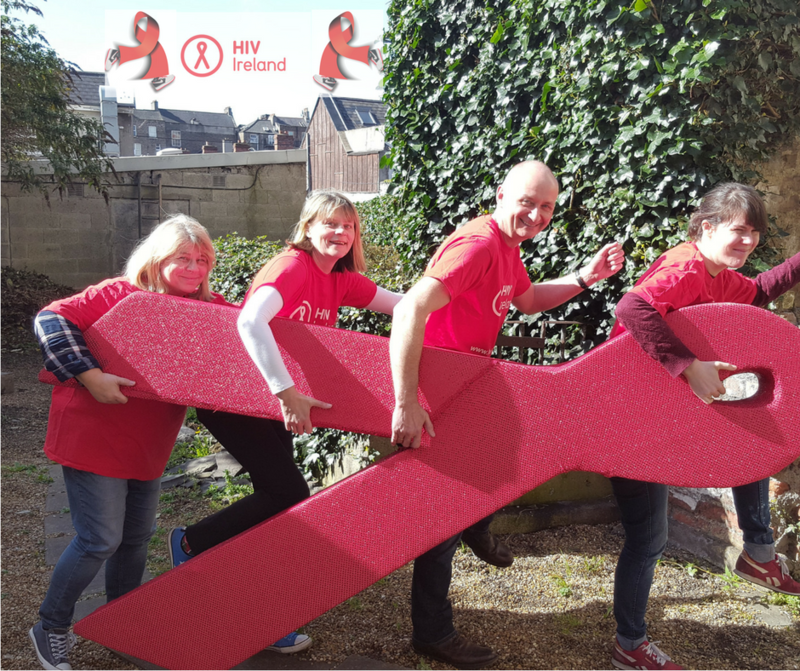 The HIV Ireland team are doing some lunchtime training in preparation for the event. We look forward to seeing you all there. Our next one-day training on HIV and Hepatitis C takes place on Thursday 18th May 2017. This training aims to provide participants with basic up-to-date and relevant information on HIV and Hepatitis C including transmission, prevention, testing and treatment. For more information and how to book, click here.